The Front Room Cafe serves the best brunch North London with a collection of favourite home cooked dishes made from scratch when you order. Our breakfast menu and lunch menu can be ordered at any time throughout the day so you can create your own brunch. This is ideal for couples or groups of friends where one of you might fancy a full English and the other person may prefer a burger with wedges. 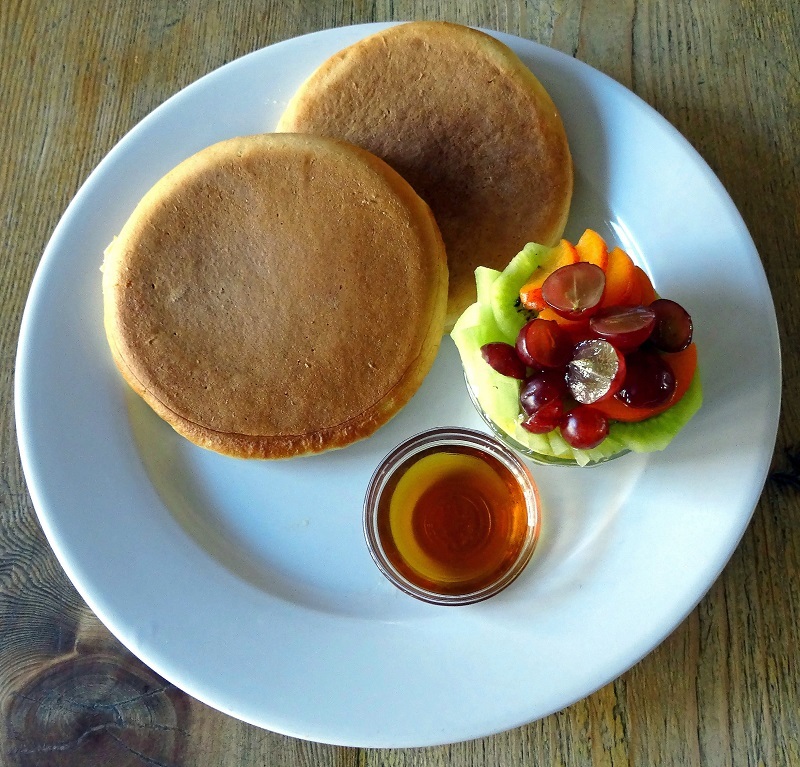 Our breakfast and lunch menu combination offers you the best brunch North London. Those feeling in a breakfast mood can choose from our full English meat or veggie version which come with all those essential components. Or perhaps you might fancy eggs royale, eggs benedict or eggs florentine. We make our hollandaise sauce when you order so it’s always fresh and fabulous. If you love pancakes, you’re in for a real treat. We whisk up our mixture just for you so it will be fluffy and yummy. Order yours with bacon or fruit and natural yoghurt and both come with maple syrup. 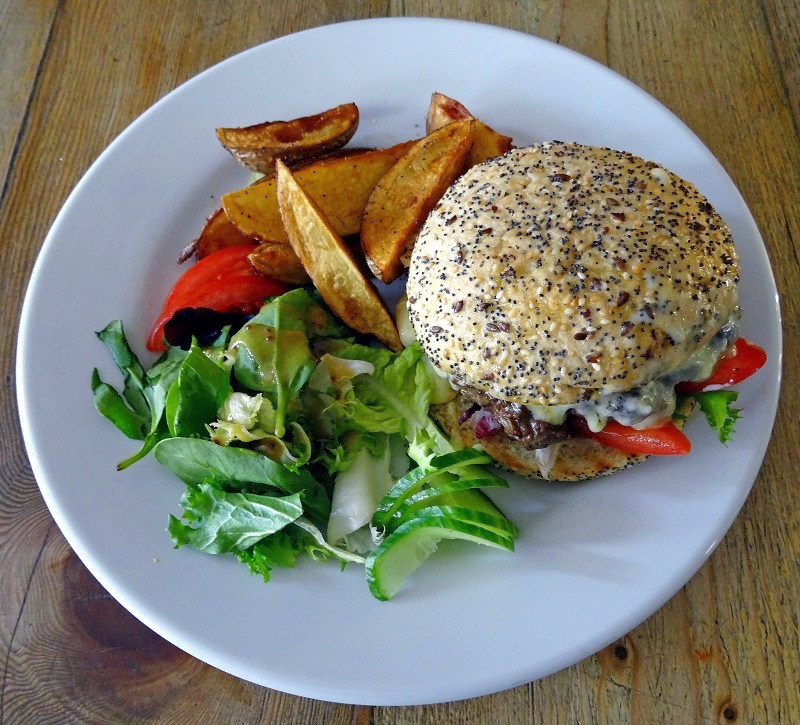 Alternatively you can choose the gourmet burger with wedges and side salad. The croque monsieur and madam are always a big hit with our customers. If you’d prefer a sandwich, soup or salad we have a great selection of these. Our daily specials include a homemade quiche, different daily soup plus a veggie, fish and meat dish. If you’re in the mood for comfort food you can try the bangers with mash which also comes in a veggie option. Meatballs served with tagliatelle or mixed vegetables are always satisfying. We stock a good selection of soft drinks from Victorian lemonade to ginger beer. We also have a range of smoothies and freshly squeezed orange juice. Alcohol is served from 11am with an eclectic selection of wines from Spain, Italy, France and Argentina plus bottled beers. Our coffee is by Allpress and the tea is by Twinings. Pop in for brunch next time you’re in the area.